The University Grants Commission (UGC) who make accreditation and rules for higher education institutions is going to dissolve. 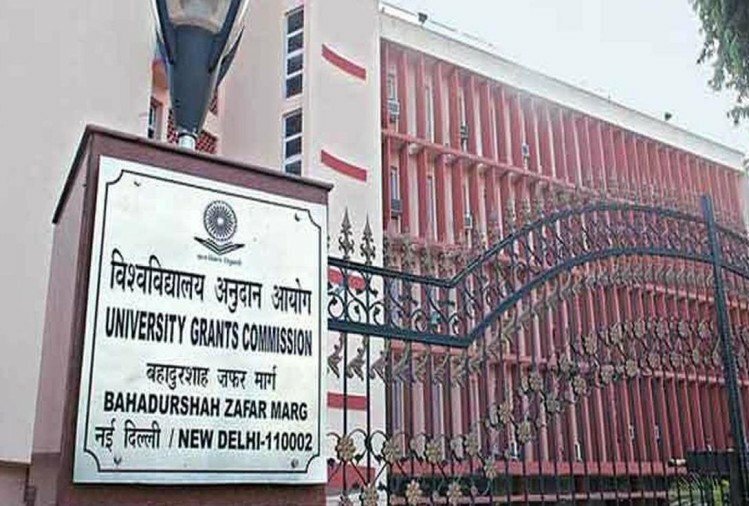 For the first time, the Central Government has violated the UGC Act, 1956, which constituted the UGC, instead of preparing the draft of the Higher Education Commission of India (HECI) Act 2018, seeking public notice through July 7. The work of HECI will only focus on creating rules including quality, research, education. The Ministry of Human Resource Development has appointed the Higher Education Commission as a single regulatory body, which will decide all types of rules for central, private, deemed-to-be university, private university. All this work was done by the ministry so far. After the enactment of the HECI Act 2018, the online Regulation Degree, the NAC Referral, giving autonomy to universities and colleges, all working of open distance learning regulation etc. would be Haier HECI instead of the Ministry. The Ministry will only take the financial work, under which the granting of scholarship, etc. will also be included in the granting of universities and higher educational institutions. Under the suggestions from students, parents, educationists, teachers and the general public across the country, there will be a change in the draft bill. After that, this bill will be placed in the cabinet. After passing in the cabinet, the monsoon session will be sent to the Parliament for passage. For the first time, the HECI Act 2018 has been made provision of penalties for fines with the penalty for preventing arbitrariness of higher educational institutions. If any institution refuses to accept regulation, rules and suggestions formed by HECI in Draft or does not comply with the rules, then the recognition of the said institution will be cancelled. In the course or degree, if the institute does not comply with the rules then the approval for teaching that course or degree will also be withdrawn. There is also a provision for imposing fine on top officials and chief executive officers associated with the management of such institutions. Apart from this, these officers can be punished for three years or more under the CPC if convicted. The main work of HECI will be to focus on quality, research, etc., which involves creating rules for teaching, research, curriculum and assessment including specification learning courses for different courses of higher education. Every year, assessment of academic performance, promotion of research, evaluation and recognition of institutes on the basis of studies, assessment of basic facilities will also be done. Apart from this, if the states do not follow the rules, then the matter will be referred to the Central Government. The HECI will have 12 members, including the Chairperson, the Vice Chairperson, whom the Central Government will select. The Central Government will issue the notification to fill these posts. The government will also have the provision to remove the said officials. Chairperson will select the Search Selection Committee formed by the Cabinet Secretary. The eligible candidate will be selected by issuing an advertisement six months before the completion of the HECI official’s term. The HECI will make rules for appointing Vice Chancellors, Vice Chancellors, Principal, Dean, HOD, teachers and non-teachers shortcomings.